When developing our latest print (ICYMI: we're all about reimagining navy this year), we turned to our friend Melissa Sutton of Charleston, South Carolina. She is the creative force behind Plum Collective—an interiors consultancy known for its edited look and celebration of 20th century furniture design—and our latest master of the mix. We asked Sutton to pull three different looks for our newly launched Muki Dot, a print we developed in collaboration with the artist-turned-designer. Noting inspiration from travel, art, and philosophy, she remarks: "Lately, I've been heavily influenced by Eastern philosophies, and I share that influence with one of my favorite artists, Agnes Martin, who herself pulled from these same philosophies to create her art." Below, you'll see how Sutton mixes this "new navy"—a gentle, yet precise collection of rings. 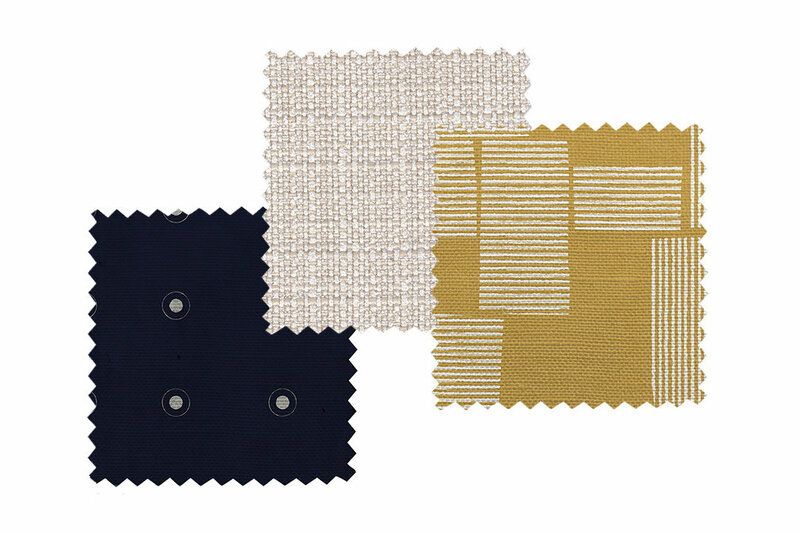 Here, Sutton sits the Muki Dot alongside a textured neutral and Anni By Christene Barberich—a mustard pattern that pays homage to Anni Albers' prints. The tight linework of Anni exists in harmonious opposition to the round, repeated spot. 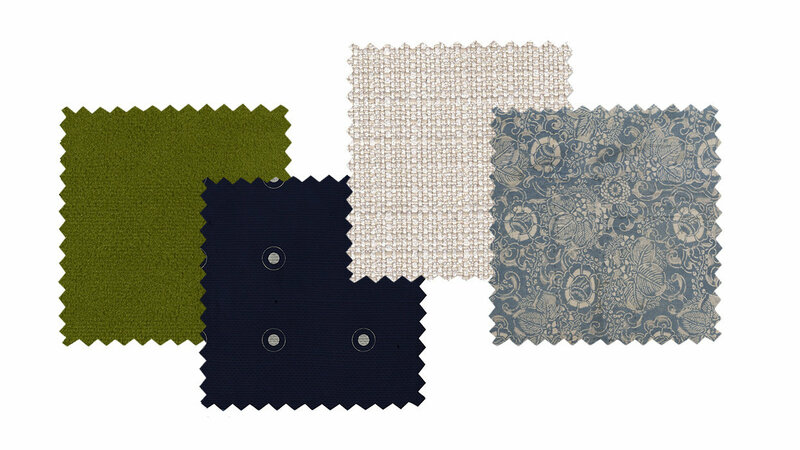 For her second grouping, Sutton brings Vintage Patchwork and Moss Velvet into the mix. The layered, dusty indigo florals of the Vintage Patchwork elevate the assortment, offering an antique-inspired appearance that nicely complements the edited Muki Dot. And the Moss Velvet offers a luxurious, verdant pop! In this final collection, she features the Muki Dot alongside Dusty Blue Sperduti (if you've read this far, you're getting a sneak peek before today's launch). 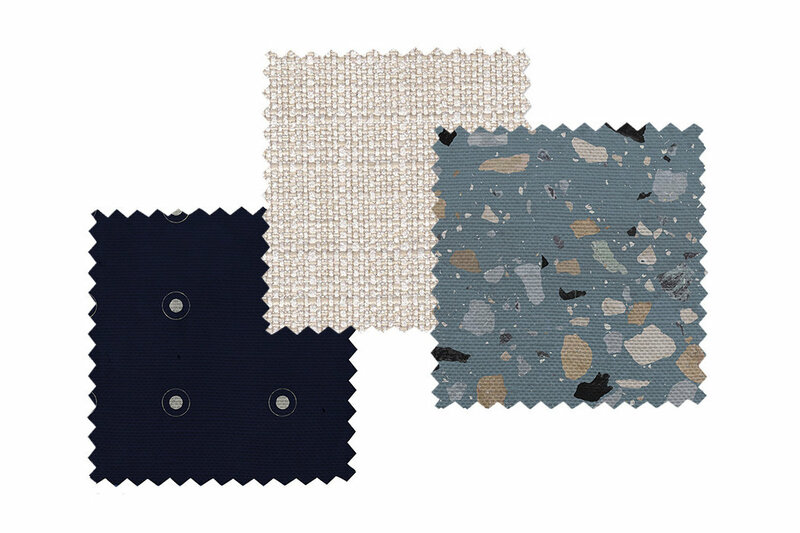 The expressive terrazzo-inspired print includes navy specks that converse well with the Muki Dot's rich ground color. Can't get enough of the Muki Dot? 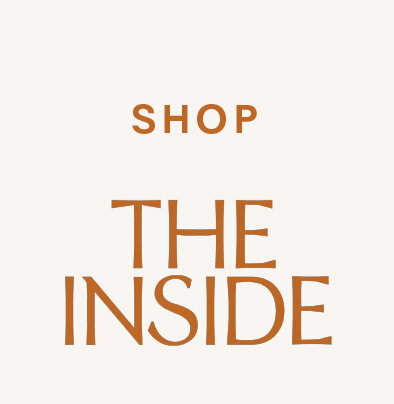 Browse Sutton's collection, and personalize your own printed piece.